Canadian police in the Toronto area and Ottawa stepped up security at mosques following the deadly New Zealand shootings that killed at least 49 Muslims. “In response to the attacks in New Zealand, we will have a heightened police presence in the community, focusing on places of worship – especially mosques,” said Toronto police spokesperson Caroline de Kloet. In the wake of the shootings, the National Council of Canadian Muslims (NCCM) issued a press release recommending a three-point plan of action, including a review of security measures before Friday’s prayers, and extra vigilance regarding suspicious activities around mosques. The council also “strongly encourage eligible mosques and Islamic institutions to apply for the next round of security funding this June through the federal government’s "Communities at Risk – Security Infrastructure Program." Canadian Prime Minister Justin Trudeau added his voice of sympathy to that of other world leaders. 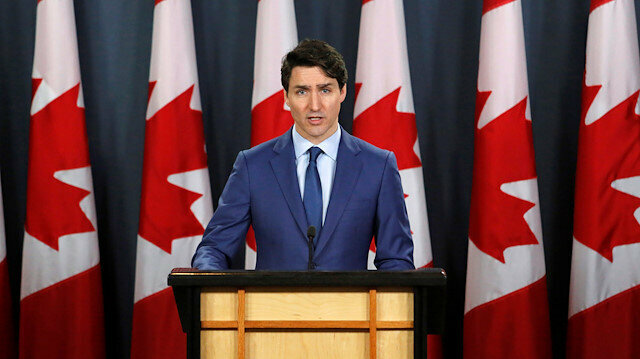 “Canadians across the country were appalled to wake up to news of the terrorist attack on two mosques in Christchurch, New Zealand, that killed and injured so many people, including children,” Trudeau said in a statement. Trudeau also mentioned that Canadians well remembered the pain following the senseless attack on a Quebec mosque in January 2017 that saw six worshipers killed by Alexandre Bissonnette. Bissonnette received a 40-year sentence but prosecutors are appealing that decision, asking for a longer sentence. Gunmen opened fire on worshippers during Friday prayers at the Al Noor and Linwood mosques in Christchurch, New Zealand, with one of the shooters livestreaming the incident on social media. The footage has since been removed from social media platforms. Four suspects -- three men and one woman -- have been detained so far, and multiple explosive devices were defused, according to multiple reports citing the New Zealand police and its commissioner, Mike Bush.